Do you ever feel like two people? Like what you’re doing does not reflect who you are? Of course you do. We all do. It’s the cosmic conflict that rages on the inside of every soul. The battle between what we want to do and what we actually do, between who we want to be and who we actually act like. This phenomenon is part of all of our journeys. How many times have you said or thought any of the following? “I want to have a happy home life with my family, but I also want to go out all the time with my friends. 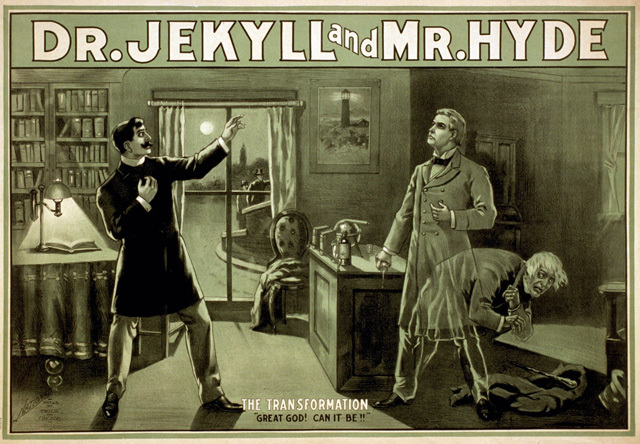 In the recess of our psyches we all have a little Dr. Jekyll and Mr. Hyde. No, we don’t all have multiple personalities or paranoid schizophrenia. However, the inner “selfless” hero and the selfish monster are always battling inside us. So, what do we do about it? How do we bring out the inner hero and stop giving way to the monster? The first step is this: We must come face to face with the pain of slaying that monster. Our id is the shameless pleasure-seeking part of our psyches that is certain to destroy our lives — if it weren’t for the ego and super-ego that keep the id in check. This selfish, lust-filled id is so powerful that it has to get double-teamed to be kept in line. The ego and super-ego help us to balance our inner cravings with what is morally and ethically right and what will enable us to exist and thrive with other people in society. Simply put, if we are going to be the best version of ourselves, the knowledge of the consequential pain, that inevitably comes from letting the selfish monster win, must steer us in a more positive direction. To win the inner battle, start by asking yourself questions such as: “If I eat this second dessert, cut this class to hang out with my friends, neglect what my doctor is telling me, blow off finishing that project, ignore the signs of unhappiness at home, flirt with that cute coworker, etc.,” — what painful results may soon follow? Are weight gain, poor health, a lower GPA, subpar employee reviews, or a miserable home life and potential divorce really worth it? Not in my book. It may sound dramatic, but being conscious of the pain and discomfort our choices bring puts us one step closer to victory. And sadly, we’ve all watched the painful, self-destruction of a friend or loved one that began with a handful of bad choices. Pleasure is the second great teacher. Let her lead you home to the winner’s circle. Not the pleasure of doing “whatever you want” — I’m talking about the pleasure of incredible results. The pleasure of knowing you fought hard against the lure of bad choices and you succeeded. The pleasure of feeling proud of yourself and your accomplishments. Learning from pleasure goes something like this: “If I choose to get up earlier, hit the gym, work smarter and more efficiently, stay faithful and invest in my relationships, make healthier food choices, etc.” — what is the “pleasure” soon to follow?” Isn’t that future, long-term pleasure worth a little pain or sacrifice now? Choose to obey the selfish monster within and get a quick pleasure fix, followed by long-term pain and loss. Or, choose to obey the selfless inner hero and endure short-term discipline, followed by the long-term pleasure of success. It begins with telling yourself “no” to short-term empty escapes and “yes” to long-term healthy, wealthy rewards. You can do it. 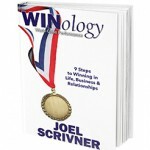 WINology can help. My 9-step program provides the guidance and support you need to unleash your inner hero! Click here to start your personal journey. Contact us to schedule your corporate cultural transformation.